Friday, April 19, 10 a.m.-5 p.m.
Saturday, April 20, 10 a.m.-5 p.m.
We are EGGstatic to be EGGsperimenting with guests again this April! Watch in wonder while we explore the amazing structure of the egg! Is it really possible to stand on a carton of eggs without cracking any? Do you need super-human strength to squeeze an egg until it breaks? Why are eggs egg-shaped? Find out during this eggcellent eggsperience! 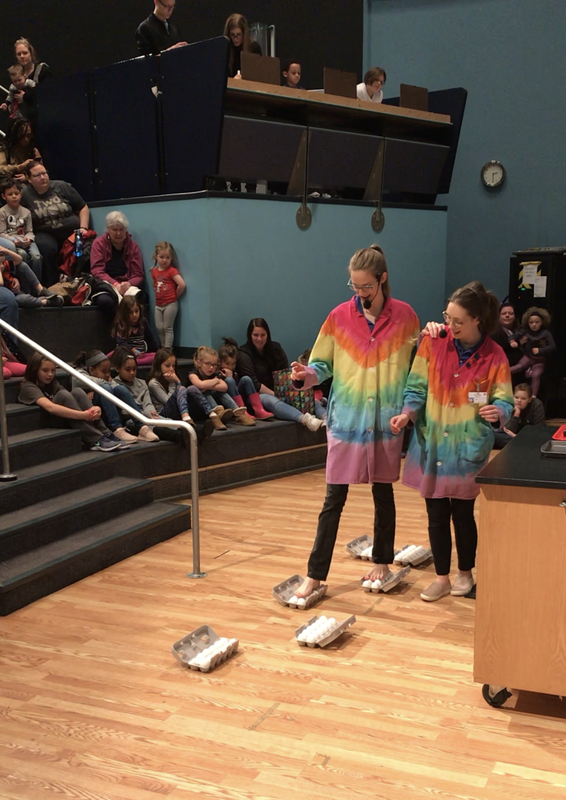 Experience Newton’s Laws of Motion firsthand in this charged demonstration that uses energy and electricity to explore the forces of motion and the power that gets your automobile from one place to another. 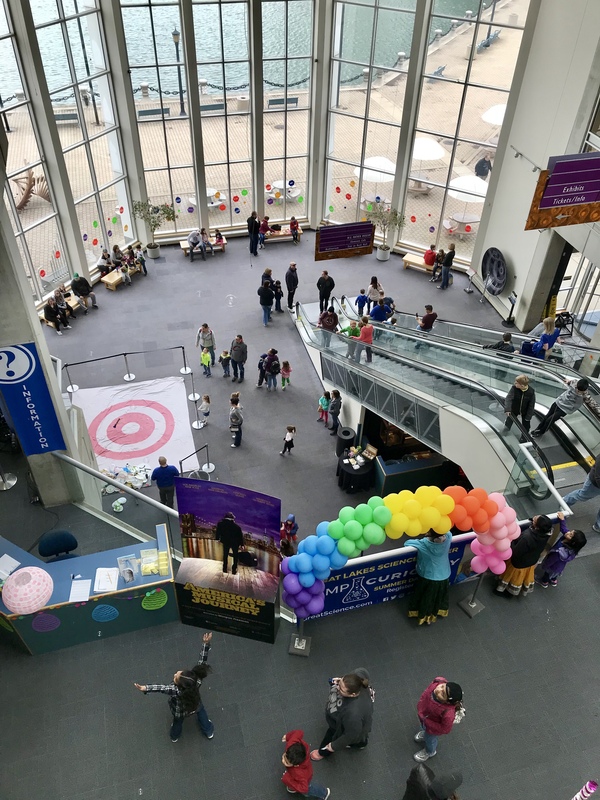 Celebrate the 50th anniversary of NASA’s Apollo 11 mission as you gather your family and friends to design and engineer the perfect contraption to protect a delicate egg from a 62 foot drop. Did your egg survive the landing on our makeshift moon? Which design is best? How good is your balance? Test your skills on our obstacle course while holding a fragile object on a spoon. Challenge yourself and try it again going faster, what happened? What do our atmosphere and Peeps, the colorful marshmallow candy, have in common? Find out what happens to everyday objects in the vacuum of space. 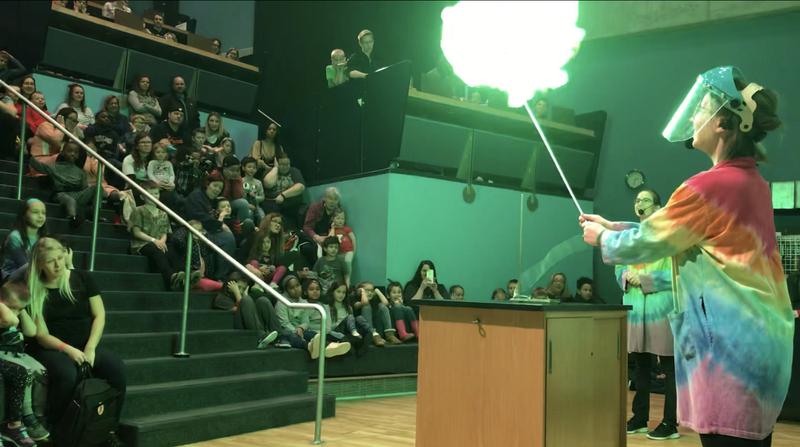 This experiment is sure to take your curiosity out of this world! April showers bring May flowers and this learning lab sponsored by Northeast Ohio Regional Sewer District (NEORSD) brings the water cycle to life as we explore the way people impact weather, and how NEORSD works to protect our Great Lake. Explore shapes, colors and elasticity as you try to blow a square or egg-shaped bubble. Does your bubble float or sink? What colors do you see? 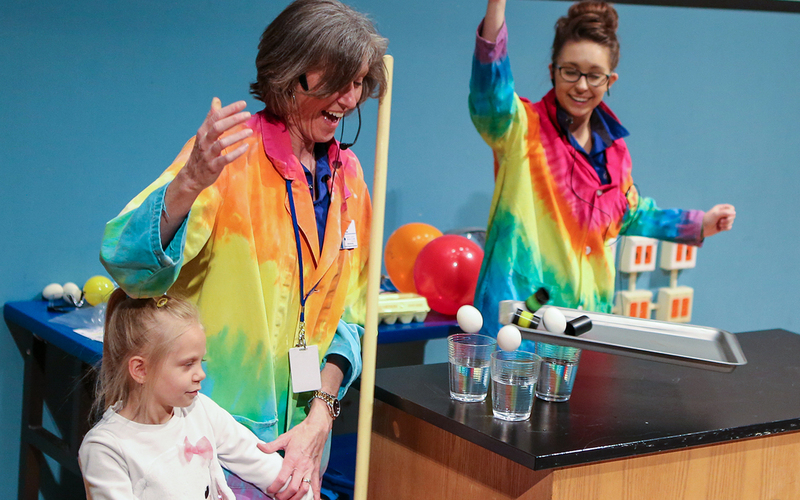 Find out the science behind bubbles in this fun activity. Put yourself in the driver’s seat and prepare for your biggest mission yet, driving a vehicle on the moon. The first step in making it to the moon is to learn to operate one of our remote controlled robots right here on Earth. Do you have what it takes to live and drive on the moon? Challenge yourself by navigating our modified lunar landscape and find out!